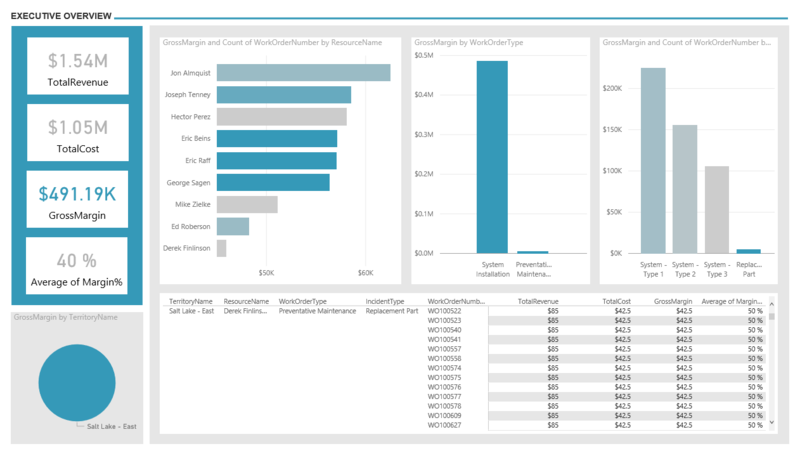 JourneyTEAM enhanced data analytics and PowerBI solution help Field Service organizations bring data to life. 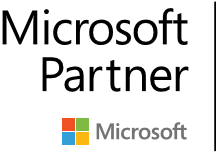 Built on the Microsoft Dynamics 365, the solution bridges the gap for high-level and detailed analytic reporting of Field Services performance. Now company leadership can visualize and analyze data with greater speed, efficiency, and understanding. Easy-to-use dashboards, interactive reports, and compelling visualizations allow you to drill into your field service data and works on ANY mobile device. The JourneyTEAM solution comes with templated reports specifically made for field service organizations such as security systems, medical imaging systems, heavy engineering, industrial and manufacturing plant maintenance, technician dispatched for preventive maintenance and repair, property maintenance and more. 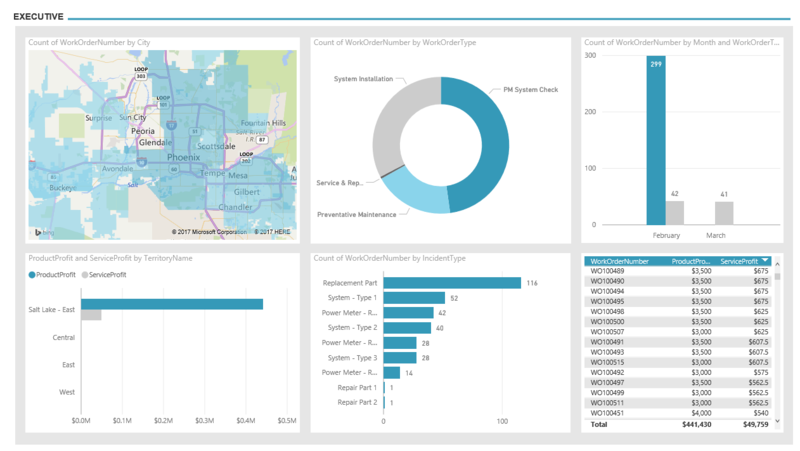 Build dashboards from pre-built reports for Mobile Field Services, Field Inventory Management, Predictive Services, Optimized Scheduling, and Customer Satisfaction. Connect to hundreds of data sources, simplify data prep, and drive ad hoc analysis. 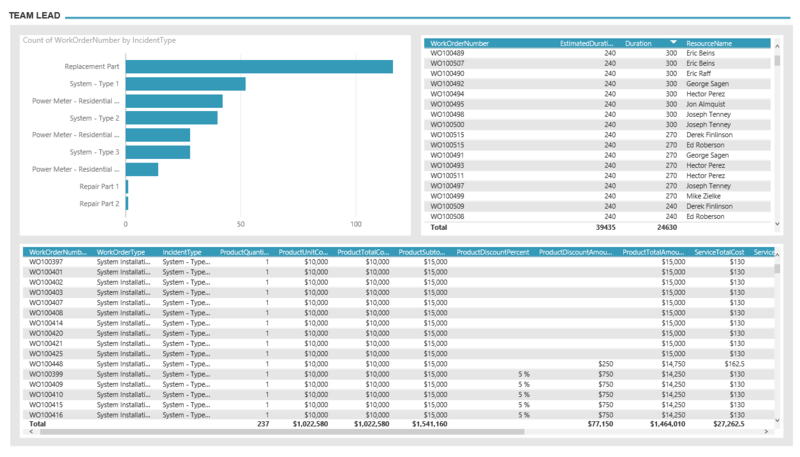 Extend the data model and modify the reports to meet your organizations specific needs. The PowerBI for Field Services reports satisfy all skill levels. Summary pages are targeted at managers and executives and detail pages are designed for experts to drill down. Reports are great resources for all levels of management including sales, marketing and operations. JourneyTEAM can also help customize reports to drill down even deeper into the specifics of your business and better enhance your individual needs. Contact us today for more information.